As more businesses jump on the e-commerce bandwagon, competition to acquire and retain customers has increased. We offer a range of industry-leading commerce solutions to drive engaging omnichannel shopping experiences to attract customers and foster loyalty. 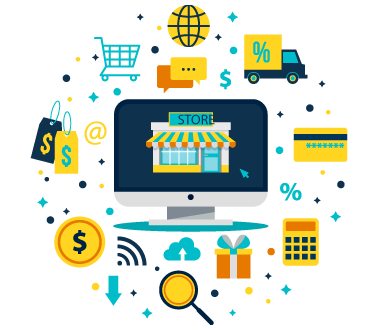 We provide businesses with a solid foundation to build your brand, engage customers across multiple channels, and expand your customer base to ensure continued and lasting retail success at competitive rates. Our People Can Bring Your Digital Experiences to Life Today! Personalize the shopping experience across all touch points and shopping channels. Struggle Detection – Know where customers encounter problems with their online experiences?